This website was born out of a few attorneys’ deep concern over public safety and calling to champion injury victims’ rights. It is an informational resource for anyone who has been or will be in a motor vehicle accident, though we hope you never are! L. Ray Maples II – Mr. Maples is Georgia-born and raised, although he now lives in Oklahoma with his wife and children. He got his undergraduate degree in marketing at Valdosta State University in 1993 and his law degree at Oklahoma City University College of Law in 1999. His started his career representing large corporations and insurance companies, but in 2002 decided he could no longer support the "profits over people" mentality. Instead, he focused his practice on supporting injured individuals and advocating against the big companies. He has earned recognition for his multi-million-dollar settlements and verdicts with membership in the Multi-Million Dollar Advocates Forum. He is licensed to practice throughout Oklahoma and before the United States Supreme Court. Mr. Maples has been rated "Superb" by Avvo, rated "AV" by Martindale-Hubbell, and identified as a Top 100 Trial Attorney in Oklahoma by the National Trial Lawyers Association. Glendell Nix – Mr. Nix earning his Juris Doctorate with high honors in 1989 from the University of Oklahoma College of Law after completing his undergraduate studies at Central State University and the University of Tulsa. As an instructor for Oklahoma Bar Association seminars and courses, as well as a member of the Oklahoma Association for Justice and American Association for Justice, Glendell brings a strong commitment to righting medical malpractice wrongs. You can also read his publications in the Oklahoma Law Review. Jacob D. Diesselhorst – Mr. Diesselhorst is a young and successful Oklahoma litigator known for his aggressive trial skills. After graduating from Oklahoma State University with Honors, Jacob earned his Juris Doctorate from the University of Oklahoma College of Law in 2002 and began practicing law that year. Married to his college sweetheart and a proud father to their three children, Jacob’s commitment to supporting the needs of motor vehicle accident victims remains unwavering. Andy Campbell – Mr. Campbell developed an impressive record of successful motor vehicle claim settlements in his young career. Having earned his Juris Doctorate from the University of Oklahoma College of Law in 2010, he went on to serve as second chair trial counsel in a $1.75 million medical malpractice wrongful death case alongside Mr. Nix. In 2015, Andy singlehandedly settled over 50 car accident cases to bring over $3 million to his clients. He was honored in 2014 with the IonOK’s 30 Under 30 Next Generation Award and is licensed to practice in all Oklahoma courts. 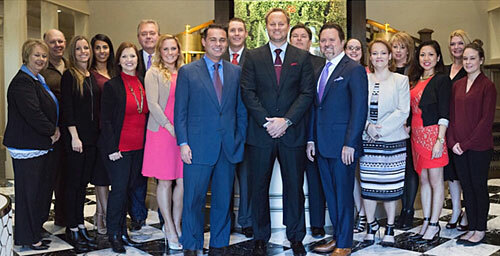 These attorneys stand ready to help people hurt in any type of vehicle accident. Car Accident Help is not a law firm, but an informational resource. If you have questions or are hurt in an accident, please call us at (405) 285-4357. Car Accident Help is sponsored by Maples, Nix & Diesselhorst. Disclaimer: This web site is designed to provide educational information. The legal information contained in this web site is not intended to offer legal advice. Information contained in this web site is not intended to create an attorney-client relationship, nor does it constitute legal advice, to any person reviewing such information. No electronic communication with Attorneys of Car Accident Help, or any employees thereof, will generate an attorney client relationship, nor will it be considered an attorney-client privileged communication. Any reference in this web site to past results for clients obtained by Car Accident Help, including reference to the Million Dollar Advocates Forum, does not guarantee that similar outcomes will be achieved for future cases. Each case is different, and must be evaluated and handled based on its individual attributes and merits.